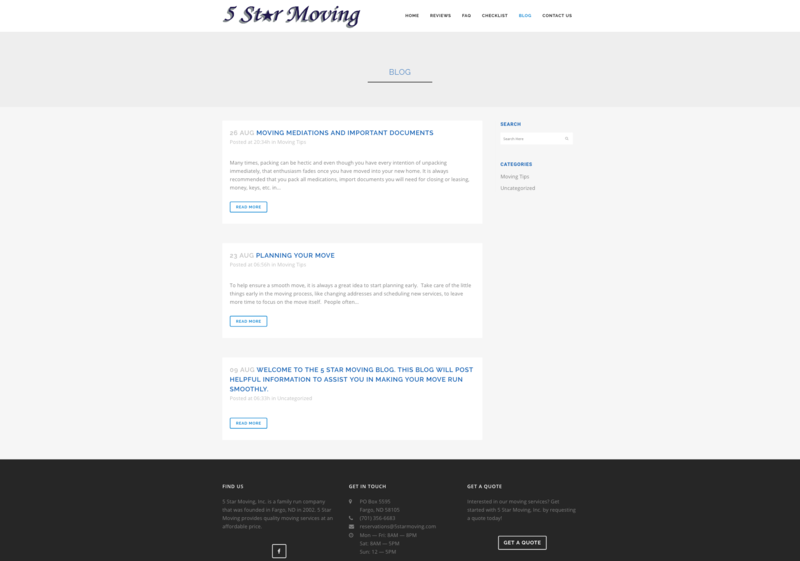 BNG Design created a new custom WordPress CMS website with comprehensive SEO. 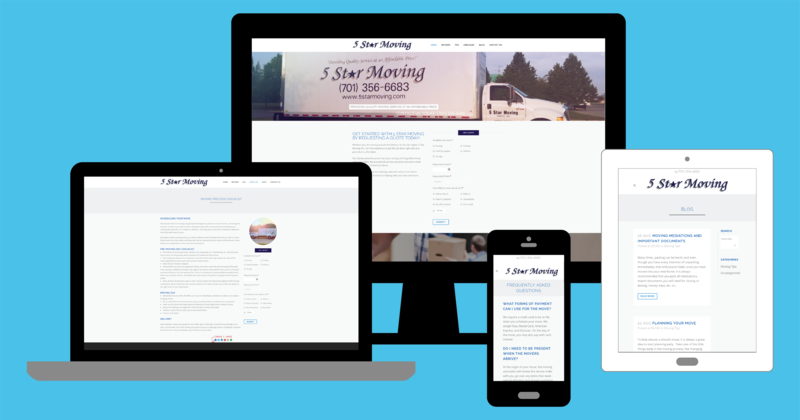 Five Star Moving can now add and revise content on their website at any time with their robust, yet easy-to-use, CMS website. 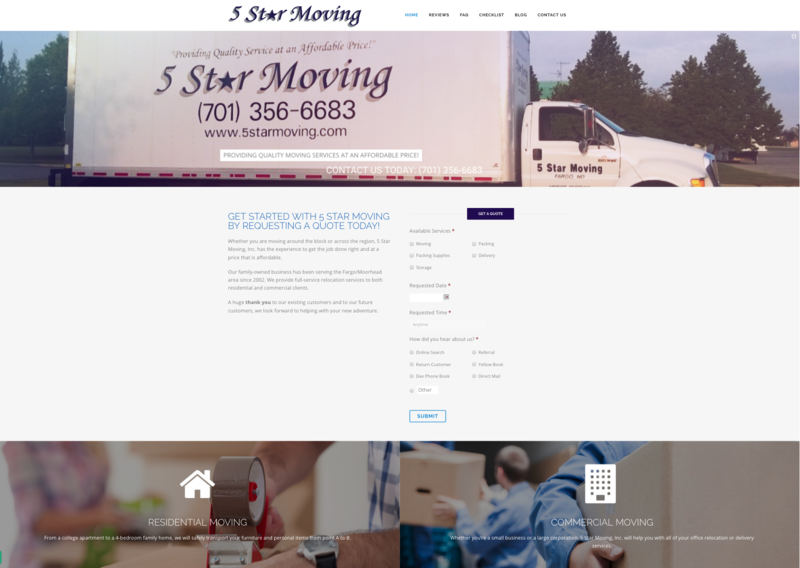 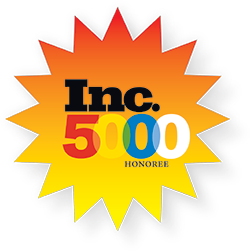 Five Star Moving is a family-owned business has been serving the Fargo/Moorhead area since 2002. 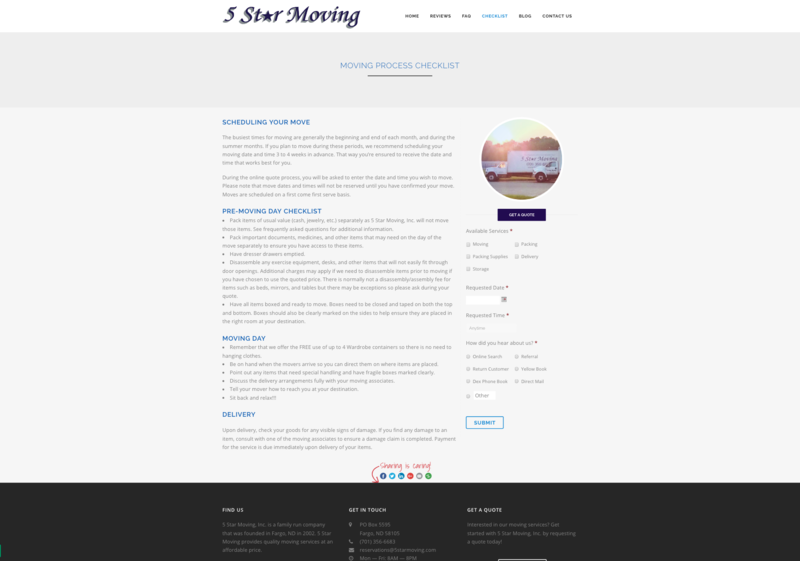 They provide full-service relocation services to both residential and commercial clients.